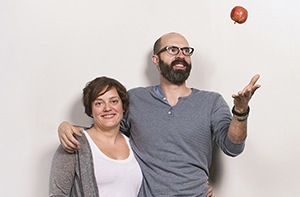 Meet the couple adored by Ontario's Amish farmers. The founders of Mama Earth Organics, an organic food delivery company in Toronto, told me how they gained the trust and friendship of some non-texting, non-phoning, non-Internetting folks. The farmers didn't even Google the company to see if they were legit before doing business with Mama Earth. I found this to be a very impressive business capability. Read more about what else this company is good at over at Profit.